Social Work Week provides an opportunity each year to recognize and celebrate social workers and all of our staff, for the life-changing work that they champion in our community. We are committed to helping people face challenges and make positive changes in their lives. 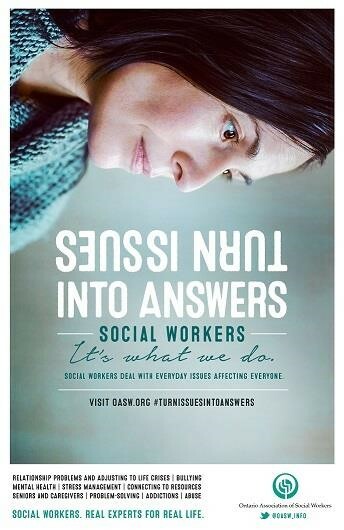 The Ontario Association of Social Workers has launched a campaign to raise the profile of the profession, especially with members of the public who have never used social work services. All too often, members of the public know little about our profession or hold inaccurate impressions of social workers. Changing this perception and increasing the public’s awareness of our scope of practice is crucial to the funding of social work services and the health and sustainability of our profession.